However, one thing is always the same….the math! How many BRS were there last May compared to this May? How many in June of this year versus June of last year? 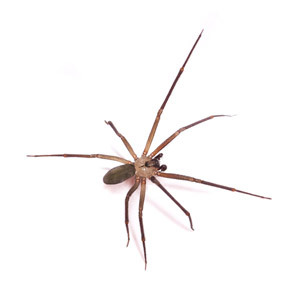 The Brown Recluse Spider season begins in mid-to-late May and continues all summer long into September-October in Tennessee. Therefore, all customers should expect more increased activity and sightings in late May or early June. At Bug Authority, we focus on dropping the population inside over time and identifying how and where are the spiders coming into the home to prevent more numbers adding to the mix. So the math matters! Less spiders coming into the home from the outside—less spiders foraging every year based on the previous year—less population of spiders in general as the service ages. BRS infestations are most prevalent in and around old established neighborhoods with old tree growth therefore they are always bad around lakes. The Hermitage, Donelson, and the older areas of Mt Juliet that surround the lakes definitely have more activity from BRS than other areas of Nashville. Bug Authority is better equipped than most pest companies to handle the difficult task of managing BRS control because of the following factors…. The Brown Recluse has six eyes, or three pair, when most other spiders have eight eyes or four pair. It is commonly known as the “Fiddle or violin” spider because of the fiddle shape marking on it’s back. They can go for as long as a year without food or water. The Brown Recluse habitate in dark cluttered undisturbed areas such as rotted out tree stumps, storage sheds and attics. They feed on soft bodied insects like moths, flies and other spiders. They are also cannibals and will not hesitate to eat themselves. They are more prevalent in living areas during the summer months. Most bites occur by accident, rolling over on top of a spider in bed, putting clothes or shoes on that have not been worn for a period of time, or killing the spider while on the body. Key treatment methods will focus on the female.